Erik S. Klefos serves as Managing Director of Wealth Management and Syndicate Manager at Sanders Morris Harris. He is experienced as a portfolio manager for pensions, corporations , and high net worth individuals utilizing quantitative, fundamental and technical analysis. 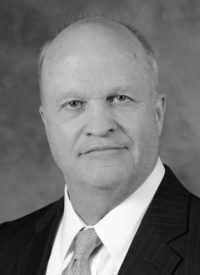 Prior to re-joining Sanders Morris Harris in 2017, Mr. Klefos held the following positions: Sr. Vice President for Wunderlich Securities from 2012 to 2017, Sr. Vice President for Sanders Morris Harris from 1994 to 2012 when SMH sold their Brokerage Division to Wunderlich Securities, and Vice President of Investments for Paine Webber, where Mr. Klefos held various positions in management, sales, and investment management from 1989 through 1994. He also served as Investment Executive with E.F. Hutton & Co. from 1984 to 1989 where in addition to brokerage training in New York, he completed advanced hedging and options strategy training at the Chicago Board of Options Exchange. Mr. Klefos received a BS in business administration with a concentration in finance from the Whittemore School of Business and Economics at the University of New Hampshire and is a member of the Mayflower Society.